Easy Art Therapy Ideas #7 and fun, too! “Zentangle is a drawing method invented by Rick Roberts and Maria Thomas, designed to make drawing meditative and accessible to all. 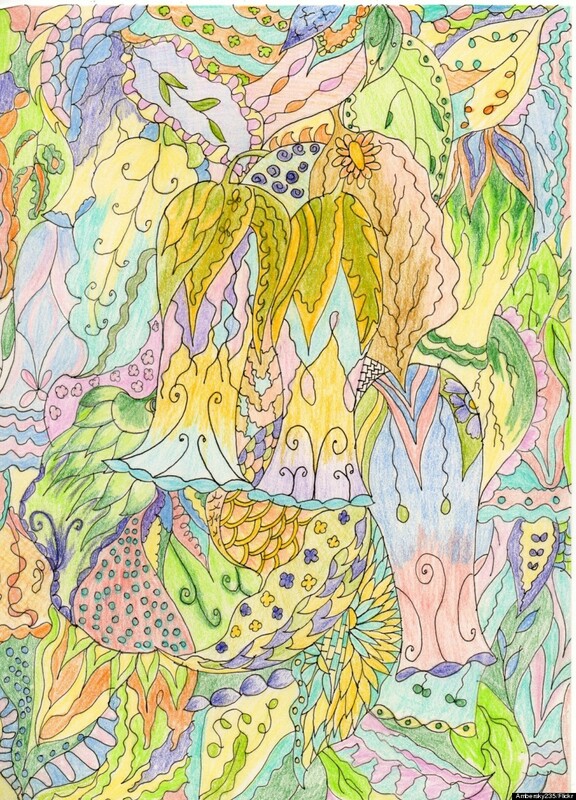 To learn the official method you must be taught by a Zentangle Teacher, but you can recreate the basic idea on your own. Use a piece of paper, cut into a 3.5″ square piece, and draw a freehand border around the edge in light pencil. Then use your pencil to draw a curved line or squiggle within the border, called a “string”.